This was to be a 7.5 km exercise. 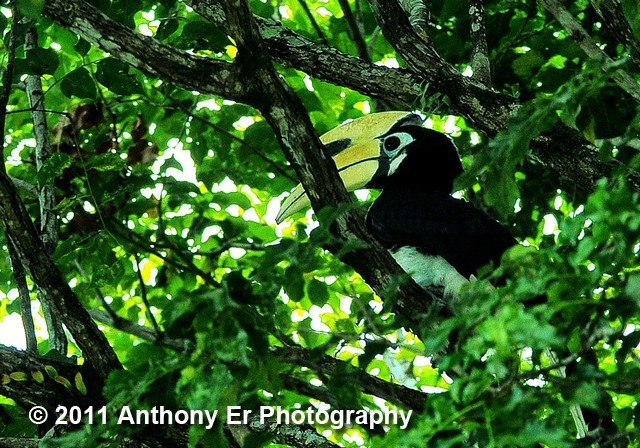 I had planned to drive to Panaga residential area to capture hornbills. 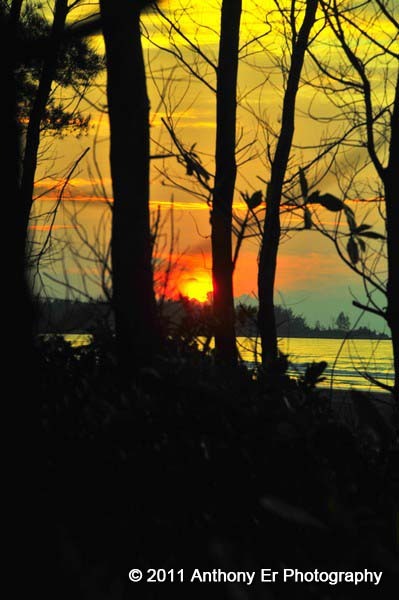 The heat of the day, however, kept me indoors until I saw the warm glow in the evening sky. I decided I was going to walk to the beach and enjoy the sunset. 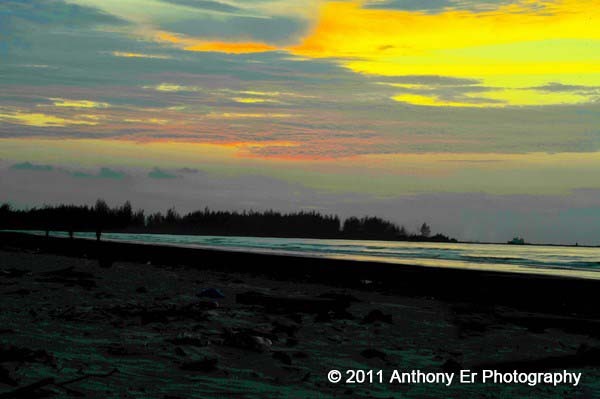 With my camera in the backpack, towel in hand, and of course, my identity card, I walked briskly to the beach. The sky was just a golden wash, not too bright. But the haze from the past days suggested that when the fireball dipped to about 5º from the horizon, it would turn a firey red. On the beach, I walked east, away from the sun. 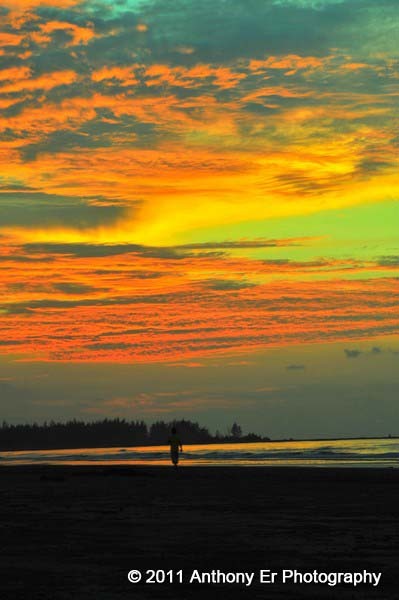 The only indication of the sunset was indicated by the canvas of the sky. 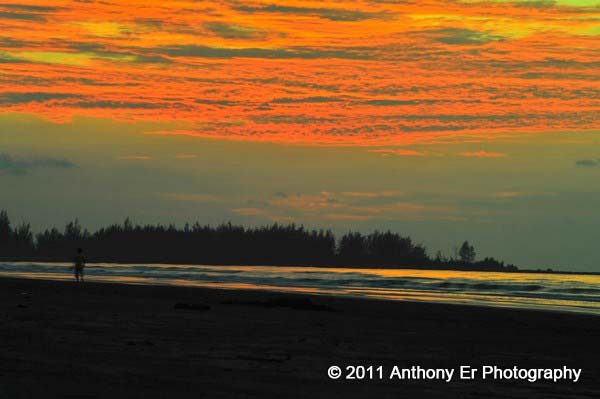 I traversed on the sand for another 0.5 km or more, turned back, and lo and behold, it was time to yank out the camera. I was too far from the distant trees at the river estuary on the “horizon” so my 24-70mm f2.8 lens didn’t do any good. Quickly I mounted the 70-200mm f2.8 lens and fired away. Within a 15 minute window of opportunity, I walked as I ran to change location, moving towards the sunset. I got 5 shots to share with you (most others were duplicates). Kuala Belait does have nice sunsets. And I do enjoy exercising on the beach here. Today, I walked and photographed the sun. The fiery red ball ended a warm, peaceful day in a poignant splash of crimson and yellows. I was happy bathed in the light of this golden hour. After capturing the sunset, I had another 3.5 km to walk back. You see, I left the car at home because I had wanted to exercise. Happy with the shots, I happily trod back. 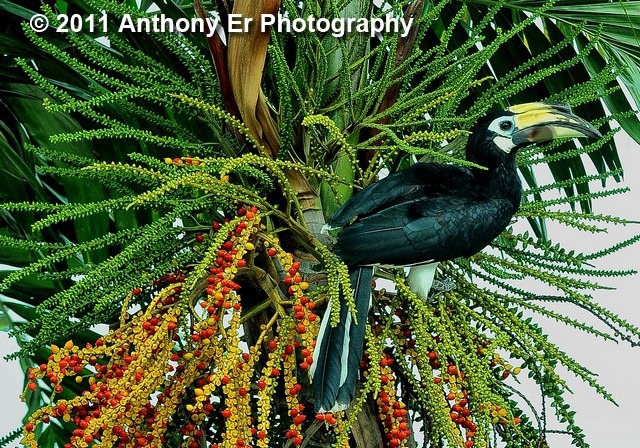 I was just about to drive out of the house, taking my family for brunch at Soi Heng Coffee Shop in Seria, when my wife alerted me to a pair of Oriental Pied hornbills (Anthracoceros albirostris sp.) at my neighbour’s house across the street. The birds had come to eat ripe palm fruits. 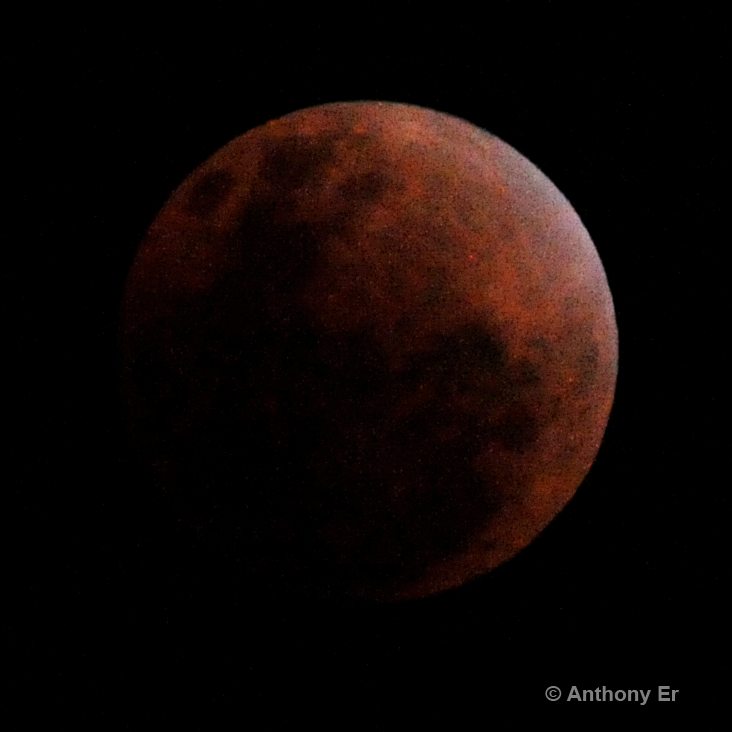 I dashed out of the car, ran back into the house to grab my camera. Alas, when I returned, only one brave bird remained in the tree. 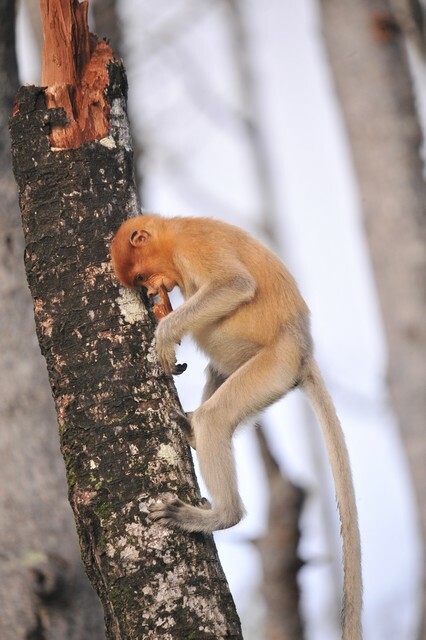 Its partner had taken refuge in the dense foliage of an angsana tree (Pterocarpus indicus sp.). One bird in hand is better than two in the bush, people say. I managed to capture only a few shots of these shy birds. 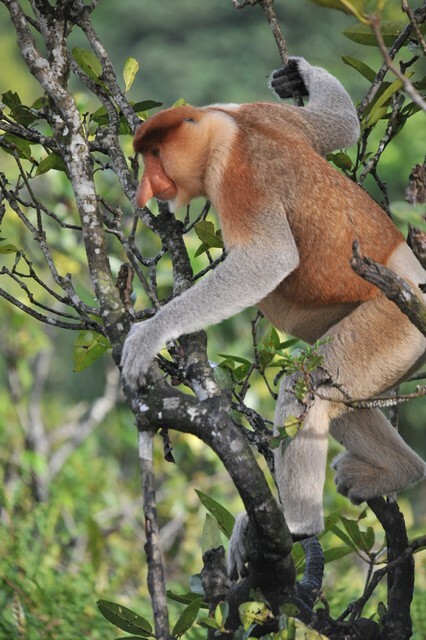 The one in the angsana tree acted like a sentinel, alerting its partner of this encroaching lens-man. No sooner had I clicked a few photos than the two love birds took flight. (Fact: Hornbills are known to pair for life, till death do they part.) However, I was fortunate enough to capture two rare shots, one of the hornbill picking a fruit, and the other swallowing that fruit. 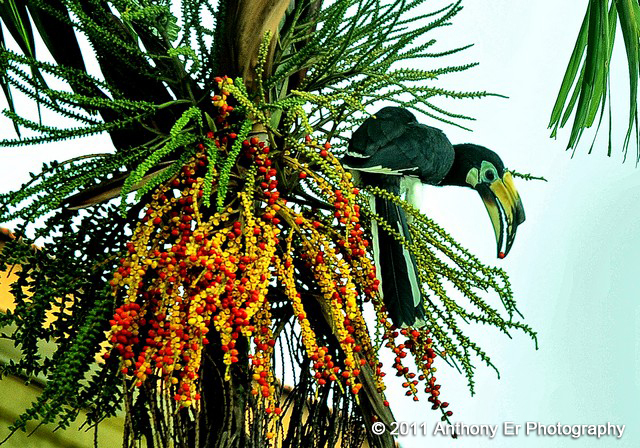 This hornbill picked a ripe palm berry. 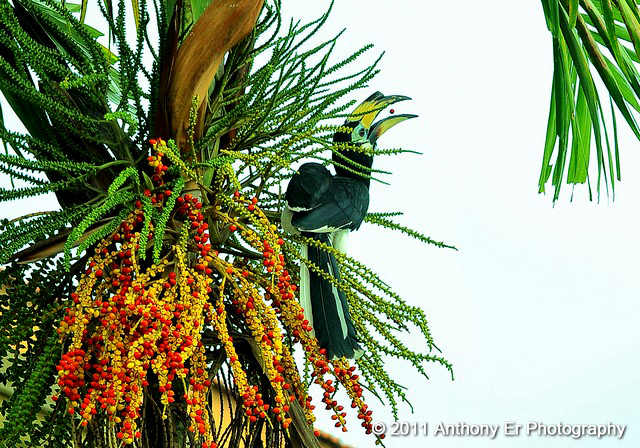 Notwithstanding the loud bursts of my camera shutter, I was pleased to have captured this pair of beautiful hornbills. The palm trees are still laden with ripe fruit. 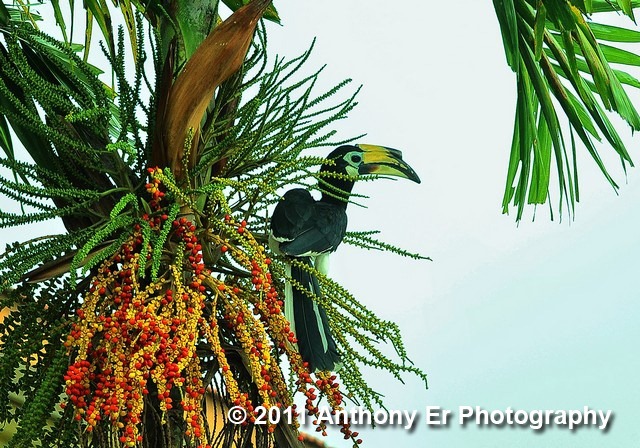 It is my hope these beautiful hornbills would return to feed. VISIT MY FRIEND’s MANY MORE HORNBILL ESCAPADES at SHIMWORLD. Brunei is to day known for its oil and gas. A century ago, it was famous for another type of hydrocarbon, coal. Vestiges of ancient coal mines and coal still dot the country. But did you know that one of these little known treasures is an abandoned coal mine which drew the Englishmen, W.C. Cowie and Charles Brooke, to extract coal here? 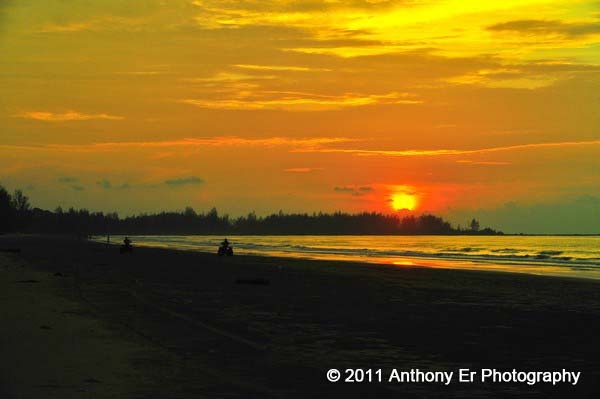 It is therefore poignant for Tourism Brunei to coin its catch-phrase, Brunei, A Kingdom of Unexpected Treasures. I bet Tourism Brunei knows a thing or two about this gem of a treasure. On 12 June 2011, Rudy Gerard Chong and I embarked on a expedition to rediscover Brooketon Colliery. This was a path less travelled. This colliery was mined commercially from 1883 to 1924. According to Wilford (1961) Brooketon Colliery produced a total of 650,000 tonnes. The closure of the mine was due to falling prices and world economic recession. Located to the north of the roundabout where Jalan Muara meets the Muara Tutong Highway, Brooketon is a stone’s throw away from Muara. A rail line once connected this mine to the port at Muara. A daisy-chain of massive banyan tree roots. Our venture into the colliery was a test of orientation and common sense, of wit and gut. 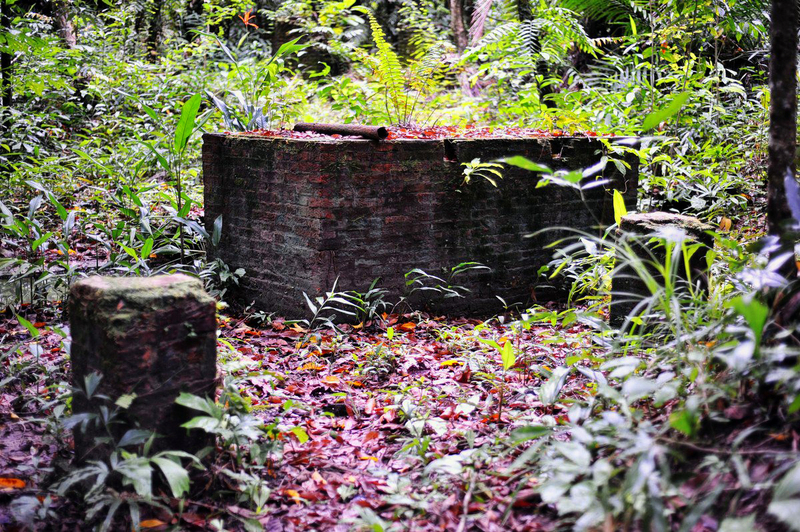 The mine is totally reclaimed by the forest. 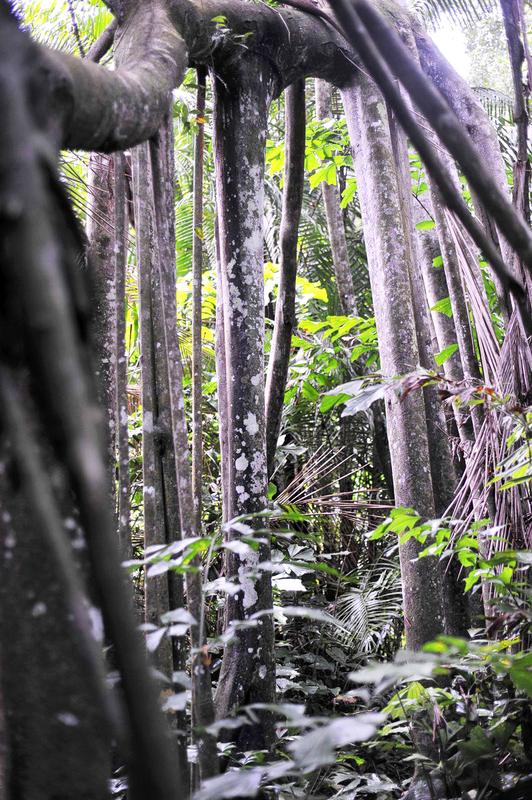 Dense undergrowth, wet jungle floors and sweltering heat add to our burden of having to carve a way in (to the unknown). 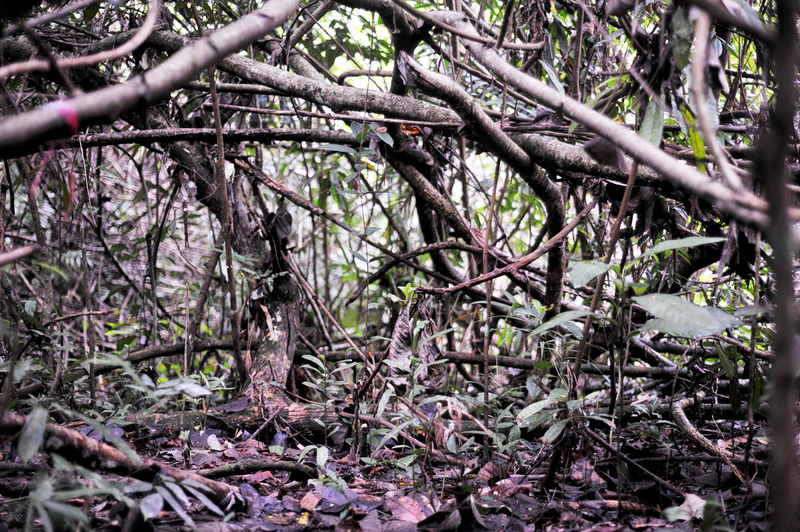 A tangle of roots, branches, shrubs and the wet grounds make trekking a challenge.The wet and messy tangled vegetation were the least of our worries. The mosquitoes were. The first artifact we stumbled upon was what appeared like a cast iron boiler. It could very well be a locomotive. Untrained in archaeology, we couldn’t ascertain this object, which has/had been ruthlessly scavenged for the metal. 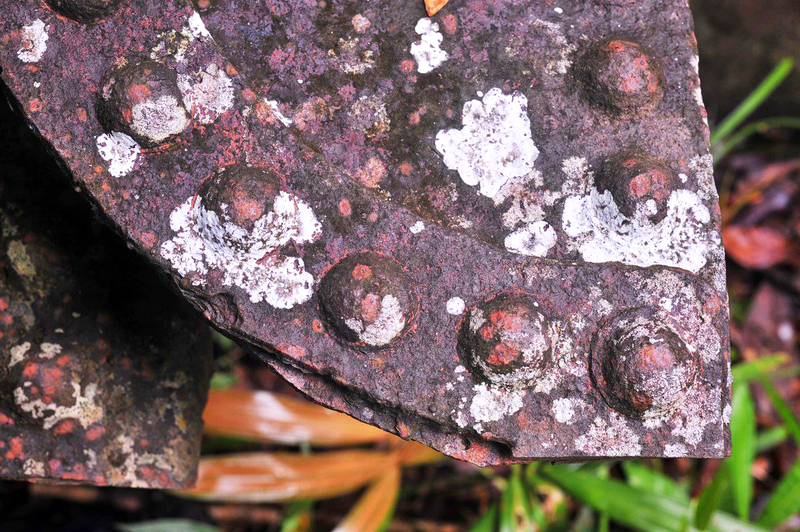 However it was comforting to see some remaining details, such as the well preserved hot rivets that held the iron pieces neatly together. Locomotive or boiler? Much of the cast iron has been scavenged. Excellent sample of hot rivets from technology a century ago. Penetrating deeper, the ground became swampy. The soggy terrain underfoot meant we were often stuck in mud. Adding to our misery were the endless suicidal kami-kaze attacks by mosquitoes. Insect repellent didn’t help. Next, we came to a clearing and there lay what appears to be remains of a processing centre. 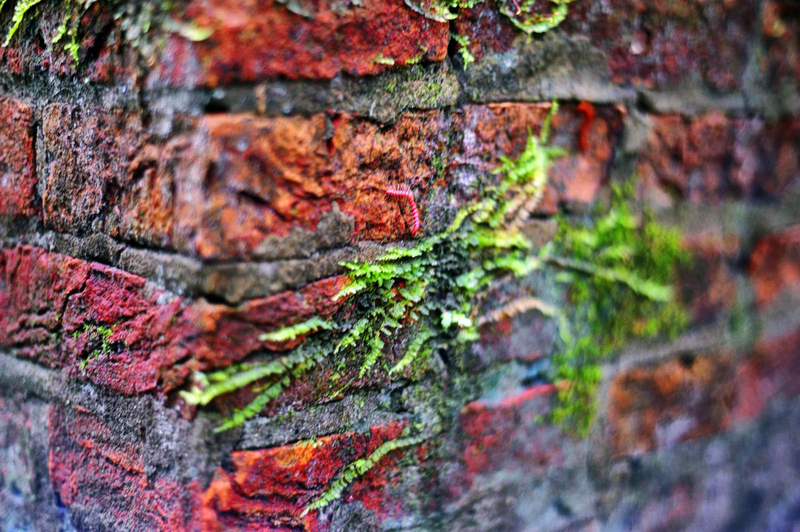 There were brick walls, brick columns, a stone wall, a concrete trough flooded with rain water to the brim, and a semi-submerged cast iron tank. Other than an old rusty 150mm diameter pipe, no other tools or machinery was immediately seen. Perhaps a proper archaeological dig on this site would reveal many more secrets and treasures dating back a century ago. Erect man-made brick-and-mortar and concrete structures. Was this the nerve centre? Very polished masonry work, shouting out for attention. We pushed further, and found an opening into a knob hill. This appears to be a shaft leading perhaps to the underground mine. Whether it was a mine shaft remains a speculation at best. 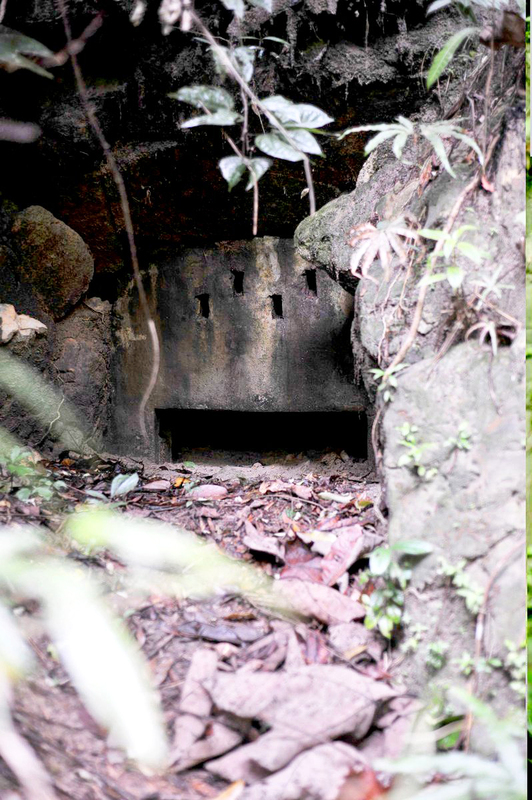 The entrance has concrete pillars and lintel, but it is now covered with dirt almost all the way to the top, perhaps deliberately buried for safety reasons to prevent people from entering the abandoned mine. The entrance to a mine in the hill, all but covered with mud and forest debris. If this knob hill was any indication that it bore veins of coal, we didn’t see any other trace that suggested it did. Nonetheless we continued to explore this circular hill, climb its treacherous slippery slopes only to come full circle to nothing. 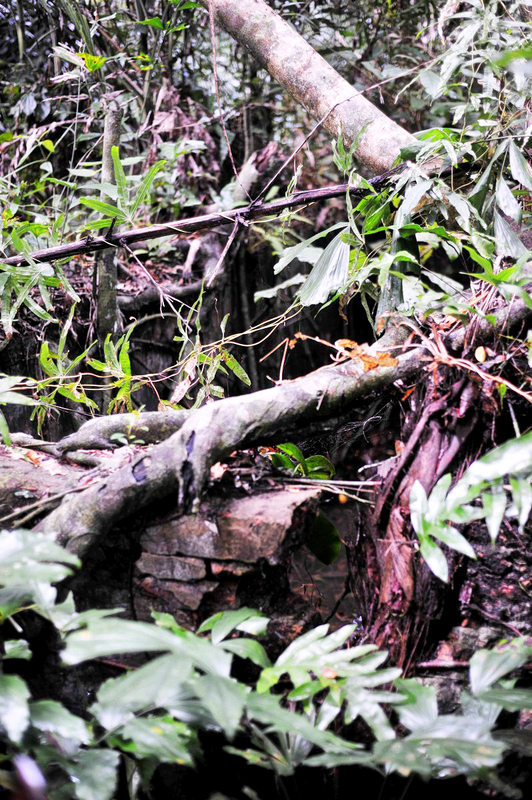 However, on another remote track lay a “tank”, cracked and broken by strong banyan roots. 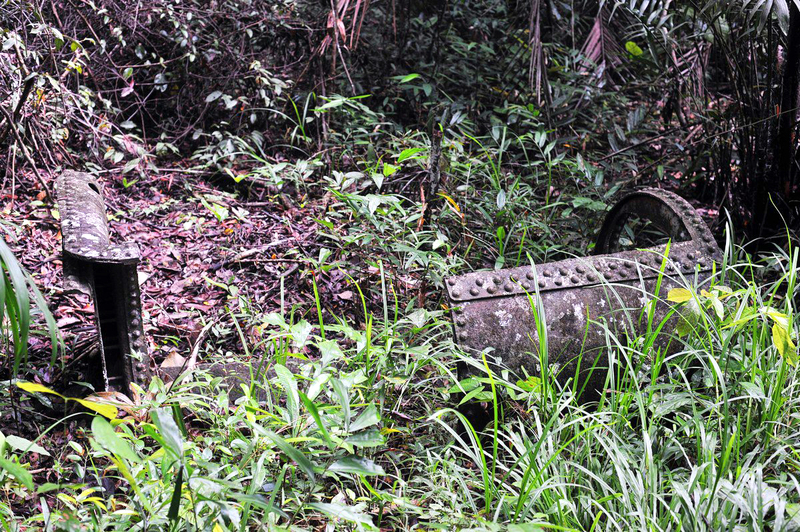 What this “tank” was used for remains a mystery. Now it is a sanctuary for breeding mosquitoes. It is my hope that relevant authorities would embark on a detailed study of this historic site. 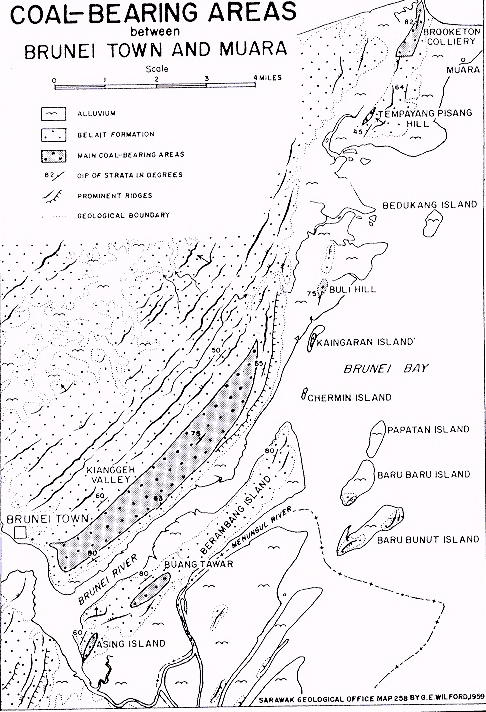 This was the mine leased to Charles Brooke, the second Rajah of Sarawak. This very mine bore his name too. Brooketon colliery is a hidden treasure that has great tourism potential. 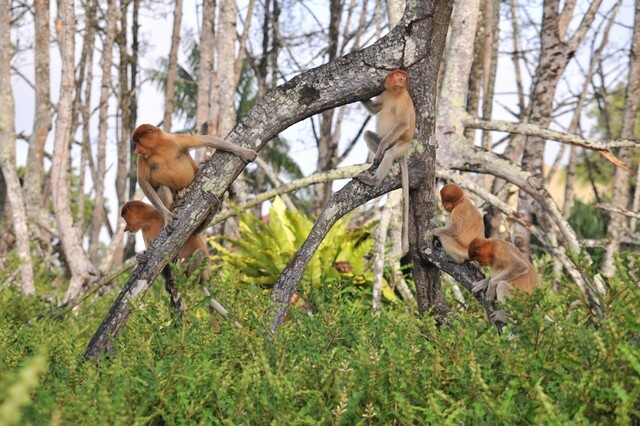 It is a site quite suitable for eco-tourism in this Abode of Peace, A Kingdom of Unexpected Treasures. Follow me on Facebook to view A photo gallery of Brooketon Colliery.